“Previously in the reception area of the library at the Friary, it is now placed at the chapel in St Mary’s Church, which is the new home to the Library, the St Mary’s performance space and to the Local History service. 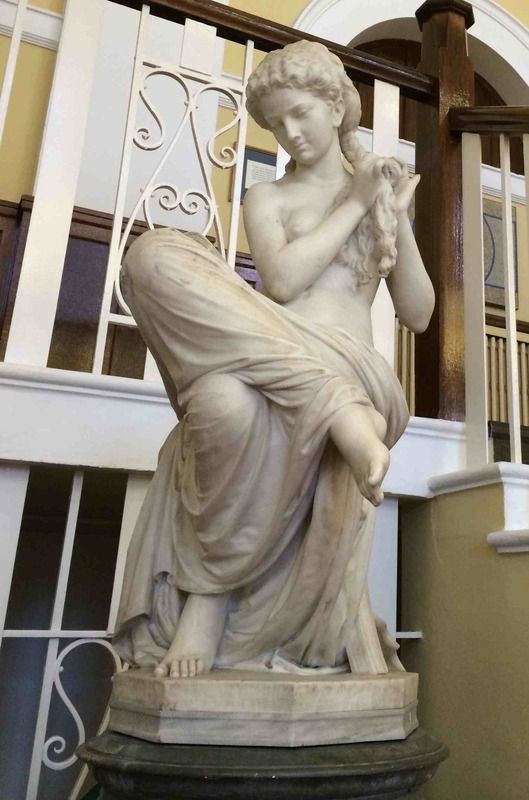 The statue is by the Italian sculptor, Antonio Rossetti, and is officially titled ‘Self-Help: the Reading Girl’. Rossetti produced several versions of this statue, one of which was sold at auction at Christies New York before Christmas.